There is something, other than hiking, that I am extremely passionate about. Baseball. I have played baseball competitively in some capacity for pretty much my entire life. 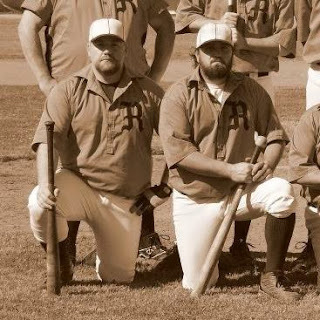 For the last 4 years that has meant playing in a Vintage Base Ball league based out of the heart of California's gold country. The league itself is the Gold Country Vintage Base Ball league. (gcvbb.com) A league framed around how the sport was played in the 1880-90's, including vintage uniforms, rules, equipment, and terminology. All of these are important aspects to making this league so pure, and nostalgic. There is something about playing this sport, in a historical fashion, that makes me feel very much an integral part of this pastime. To preserve the historical aspects of the sport, while displaying it for the youth, can only help the sport grow in the future. Helping preserve an important part of this sports historical significance is extremely rewarding, and since Base Ball (two words back then)was viewed as a gentleman's sport, it is so much fun reliving that camaraderie that comes with playing the team sport of baseball. 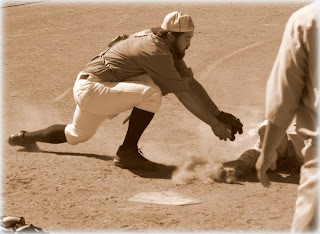 My brother also plays in a Vintage league based in the Bay Area. 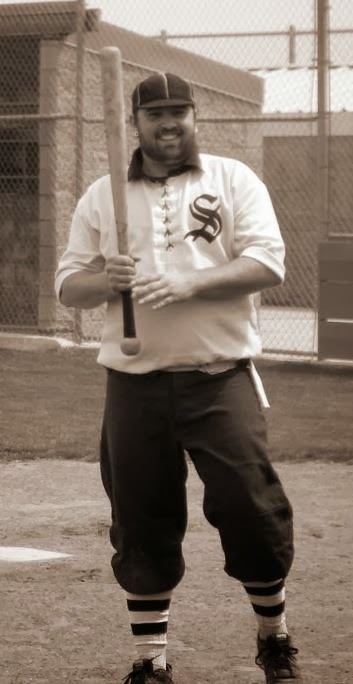 He plays for the Fremont Aces, based out of the Bay Area Vintage Base Ball League. There is always the possibility of his team facing my team for the coveted 'California Cup' to be the best team in California!!! !